Here at MOVA International, we believe that hobbies can become your career. 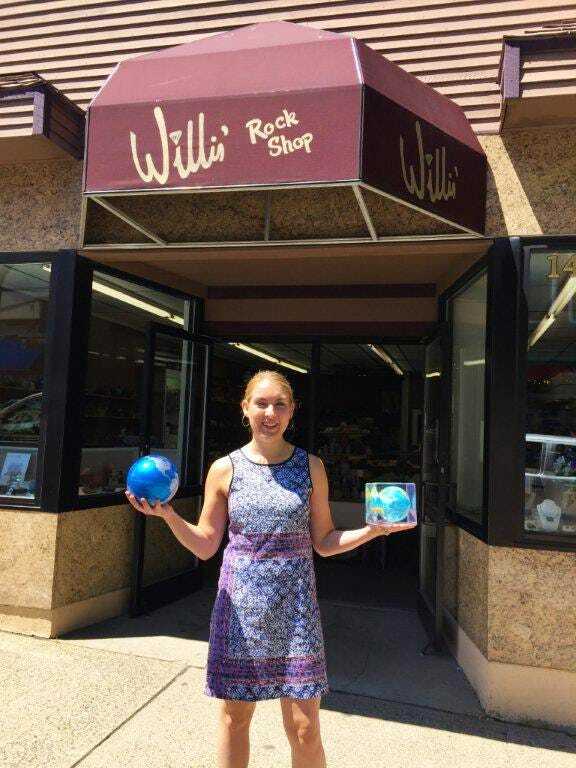 Willis’ Rock Shop, a 3rd generation family owned and operated business, is a example of this statement, as they have been selling what they love to craft for the past several decades. 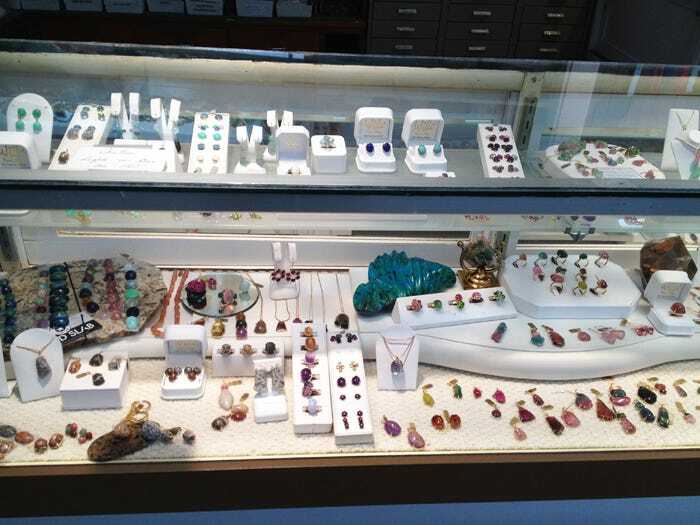 Surrounded by the soaring granite mountains of Arcadia National Park and the picturesque rock-bound coastline of Bar Harbor, Willis Rock Shop is a natural draw in its community and thrives on its custom gold and stone jewelry business. In celebration of Independent Retailer Month, we sat down with owners Roger and Cheryl Willis to discuss how it all started. How did Willis’ Rock Shop start? My grandparents’ hobby became a business 78 years ago. 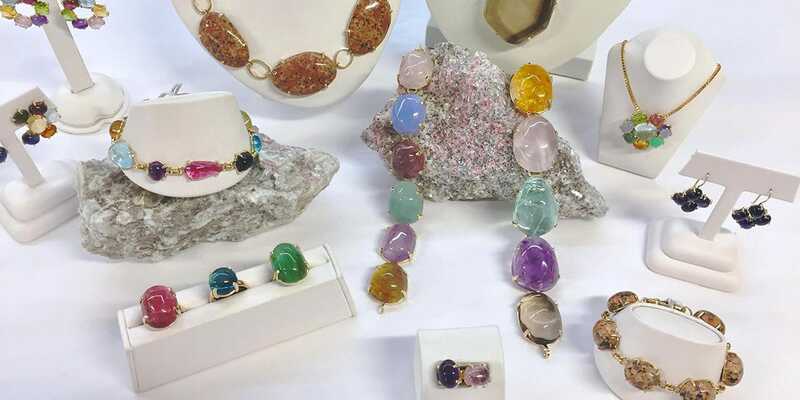 Rock hounding became stone cutting, and jewelry design became our own unique 14K gold and semi-precious stone jewelry line. We are proud to be an independent retailer because it allows us to have our own unique voice and style in what we chose to be as a business. Why do your customers keep coming back to shop? We are unique because we hand cut our own stones, semi- precious as well as local beach stones, into a style not found in shops anywhere. This all translates into precious gold jewelry to be passed down family lines. Our customers know they are getting a truly one of a kind heirloom piece that will last through the ages. The rocky, craterous appearance of the Mercury MOVA Globe is a perfect display complement to Willis’ stone jewelry collection. We have a positive impact on our community because we have provided support, stability, and a sense of pride in our town for the past 78 years, in addition to all the taxes paid over the past 7 decades! We have [also] in the past had the boy and Girl Scout troops come in for a little rock talk as well as some of the elementary school classes when they would do their units on rocks and minerals. 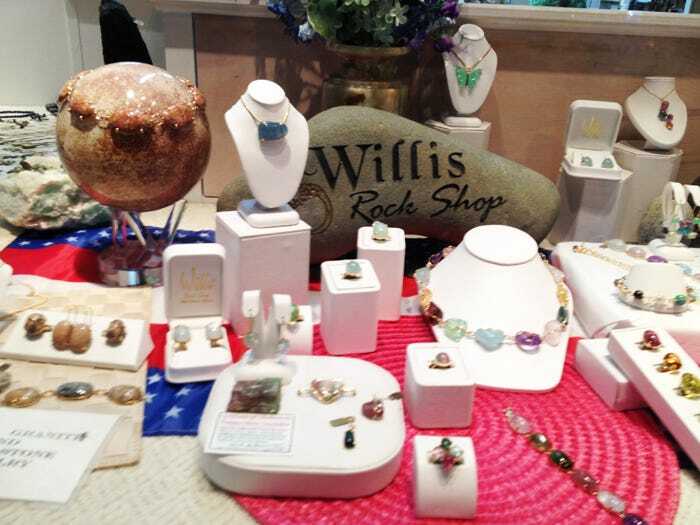 The custom jewelry showcase featuring Willis’ Rock Shop’s unique line of 14K gold and semi-precious stone jewelry. Tell us about the city of Bar Harbor. Bar Harbor is located on Mt. Desert Island which is one of the most beautiful islands in the US, and is home to Acadia National Park, a very well visited national treasure. We are really a destination place because Acadia National Park attracts millions of visitors annually, and we cater to our visitors! How did you discover MOVA Globes? We discovered Mova Globes 2 years ago at the Boston Gift Show. We were enamored [by] the MOVA Globes the first time we saw them. They evoke such peace and tranquility and are so mesmerizing! What has the response been to the MOVA Globes? Generally our customers are intrigued and stand in a state of curiosity and wonder in front of our display until they give up and ask how they work. 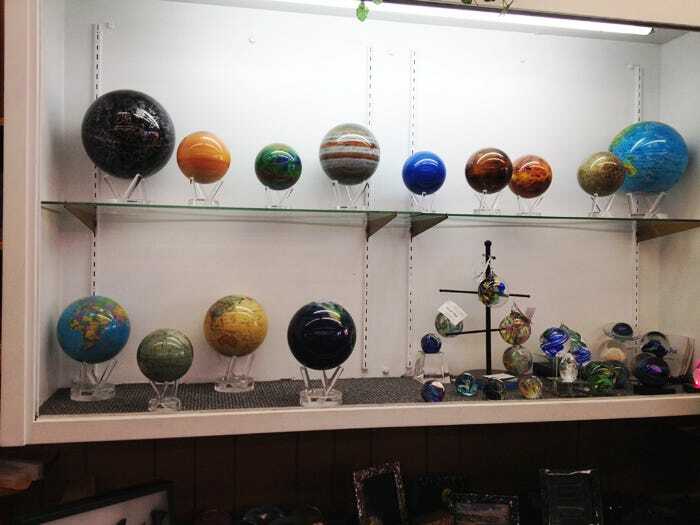 Our staff is completely enamored of the spheres and explain with delight the physics and natural wonder of these pieces. Talk about enthusiasm, they have it! Everyone who gets the explanation laughs in amazement. Which model is your favorite and why? My personal favorite so far is the 4.5″ Constellations MOVA Globe. Love the night sky just don’t have the night vision to see the sky with clarity so the sphere fills that void for me. Keep doing what you are doing, we love your product and feel we give it our best attention. Rock on, Willis’ Rock Shop! Did you enjoy learning about this family-owned business? Read more about some of our other amazing MOVA Globe independent retailers and find a MOVA retailer near you!